New product alert! 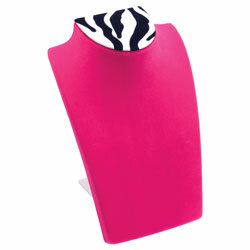 Let’s return to nature for a moment as we explore these new zebra jewelry displays which are wild in a very glamorous way. Love this look? We’ll be getting more soon. 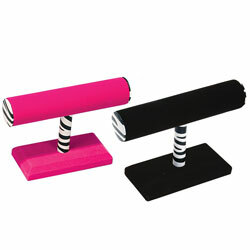 Visit our new products to see these and other great items! 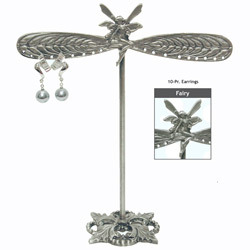 We’re now carrying this lovely pewter fairy earring display! This cast metal earring stand holds ten pair of earrings, and measures 6 3/4″ by 7″ tall. And while you’re at it, check out our other new products! Angels more your style? We also have a pewter angel earring display!